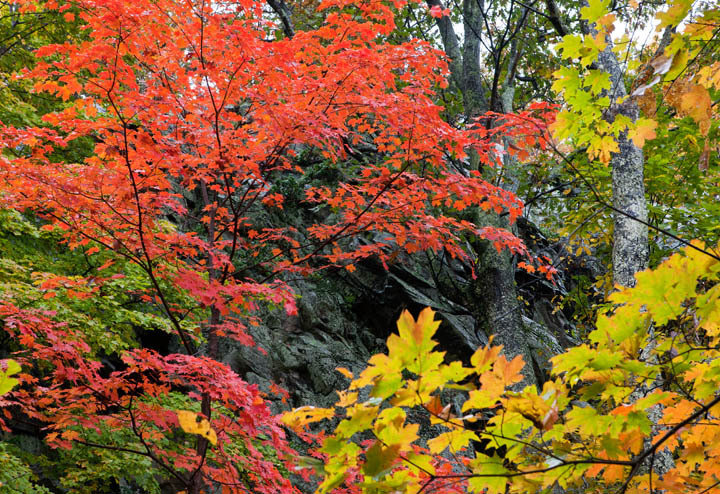 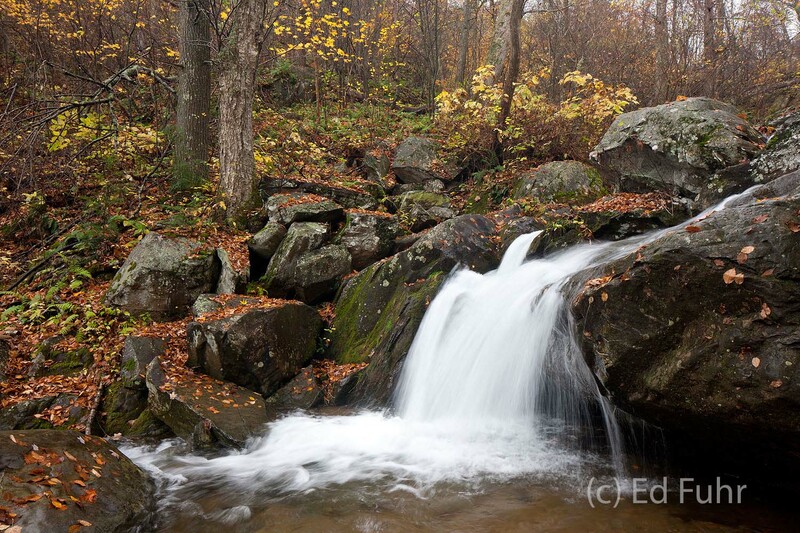 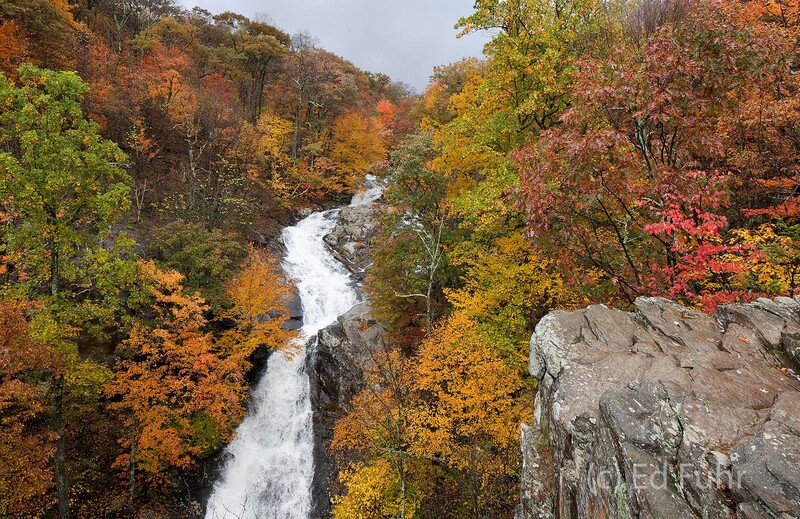 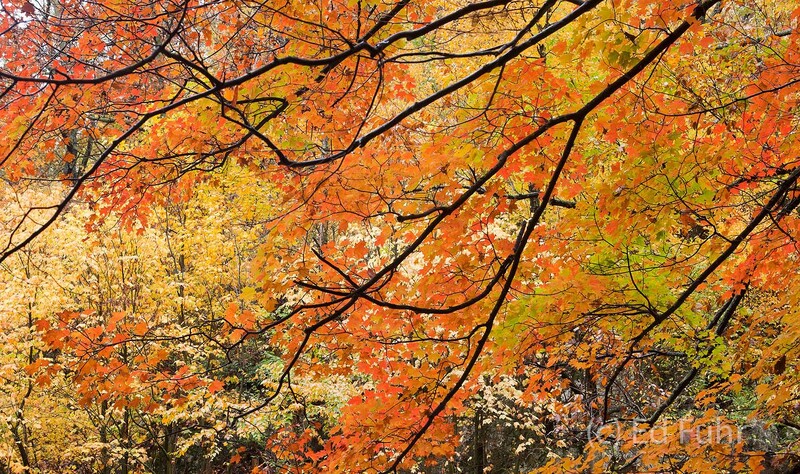 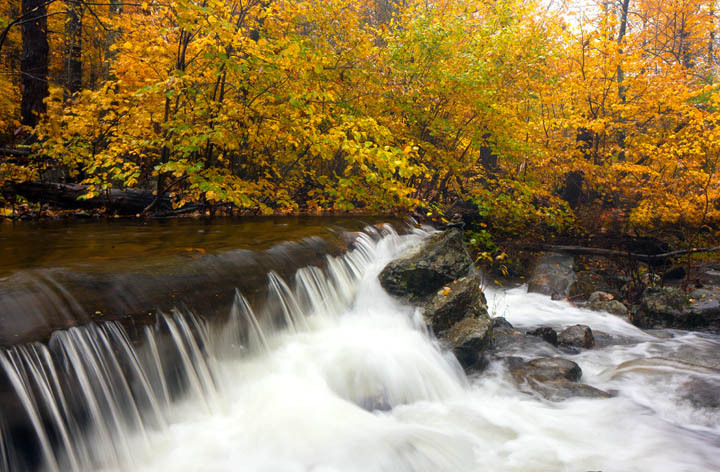 The majestic fall season in Shenandoah National Park can give way quickly to winter. 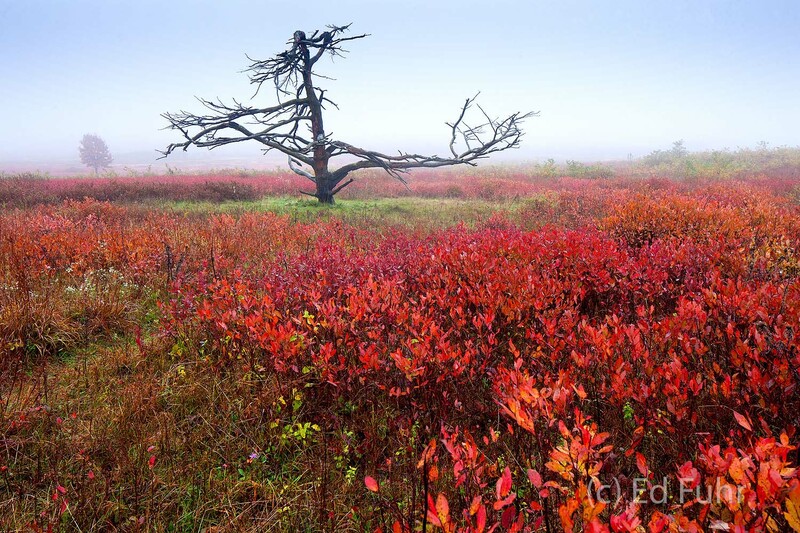 Here are some photos that reflect that transformation, from the early colors of the berry bushes in Big Meadows, to the fall splendor in White Oak Canyon, to an early snow even as fall's last leaves flash their splendor. 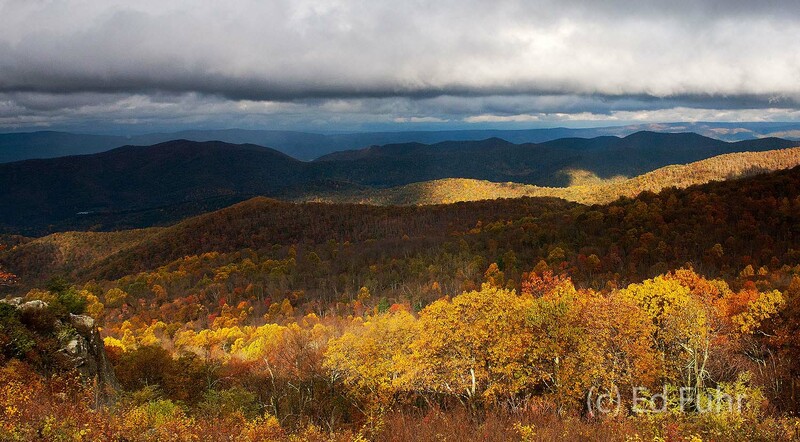 At the right elevation color can still be found even after a 9 inch snow along Skyline Drive. 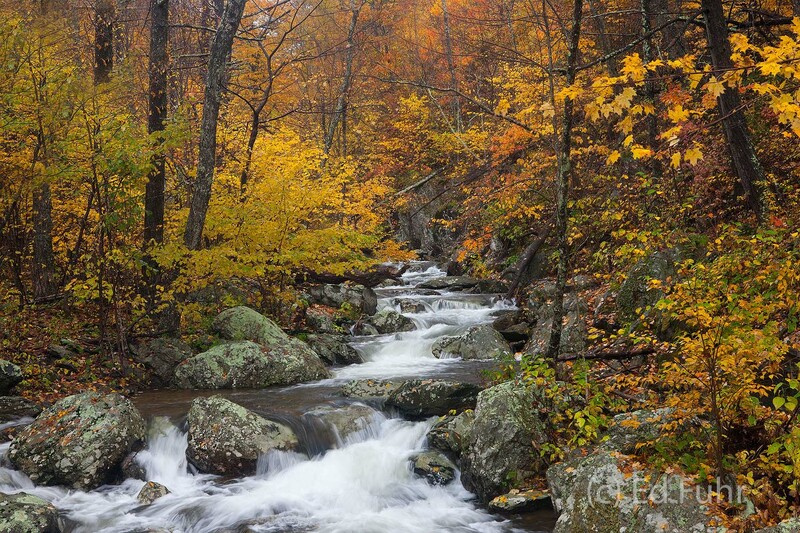 Here is a sampling of what Shenandoah offered from October 14 to November 1, 2011. 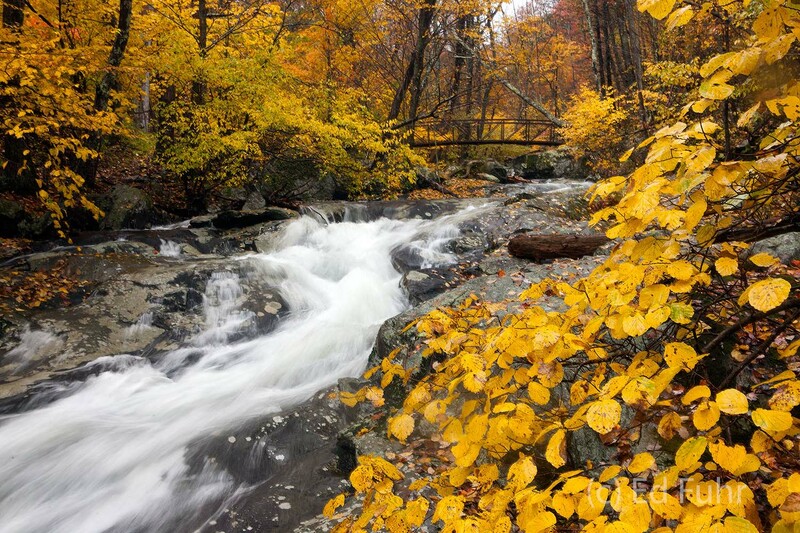 Fall's Rush Along the Whiteoak Canyon. 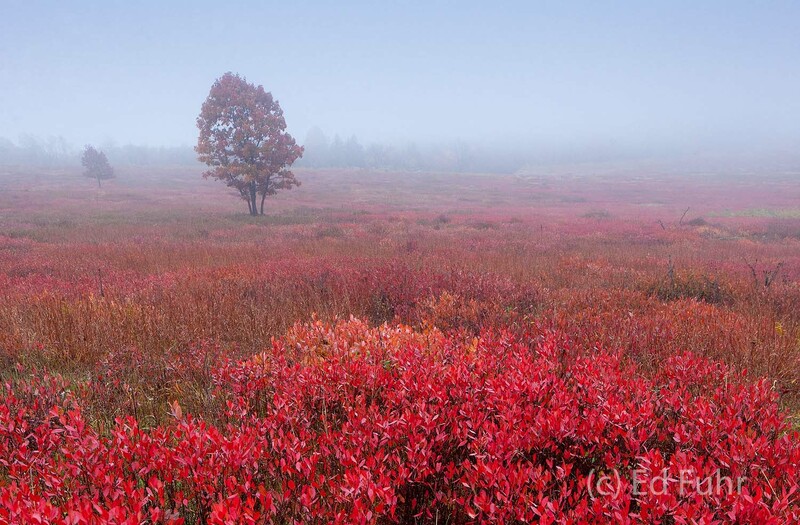 Photo © copyright by Ed Fuhr. 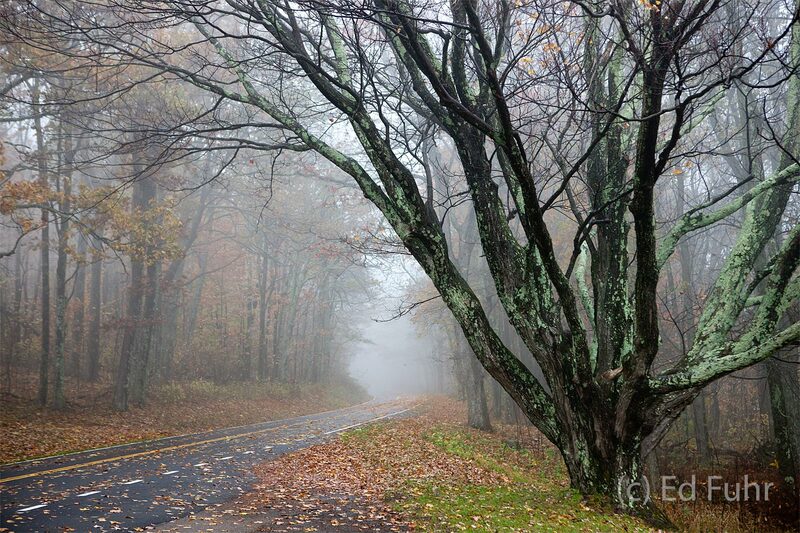 Attractive in every season, this great maple stands guard along Skyline Drive. 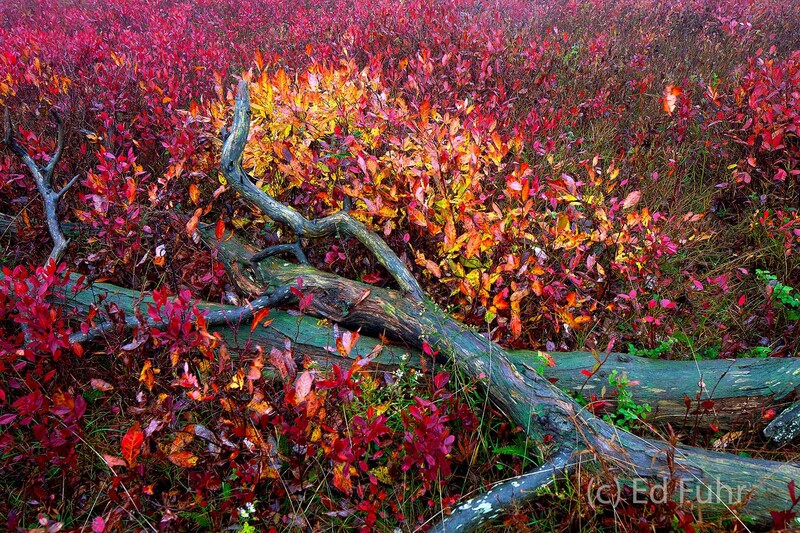 Photo © copyright by Ed Fuhr.